As sponsor members of the AHCP Duplex will be supporting and exhibiting on Stand 3 at this year’s National Conference at the De Vere Orchard Conference Centre within the Nottingham University Campus . The event runs from Tuesday 23rd June until Thursday 25th June. 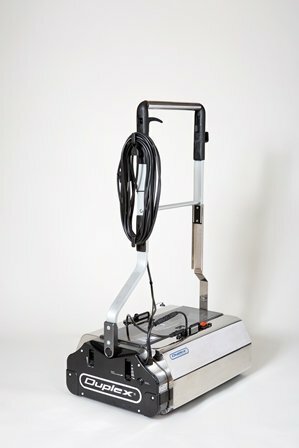 This year we have been short-listed for the AHCP Innovation Award with the excellent Duplex 620/Steam floor cleaning machine. This model was first exhibited at The Cleaning Show in March at London’s Excel where it was very well received and has since proved to be a very popular addition to the Duplex fleet. The Duplex 620/Steam supports the many challenges faced in healthcare cleaning, leading to improved standards in hygiene and infection control. Mike Conroy and Barry Wilmot, our Northern and Southern Business Development Managers will be on the stand to demonstrate the Duplex 620/Steam cleaning both safety floors and carpets too. Please visit our stand to see this exceptional machine….there is no other like it in the industry!